When your water’s running low or a little to slow call Middle Tennessee Water Experts, Rock City Machine Company. We offer solutions for low water pressure and flow for applications for residential (small to really large), commercial (hotels, schools, multi-family) and industrial applications. In most situations you have multiple options depending on your budget and demands. We offer traditional hydro-pneumatic system, constant pressure systems, variable frequency drive controlled systems in simplex, duplex and triplex configurations. 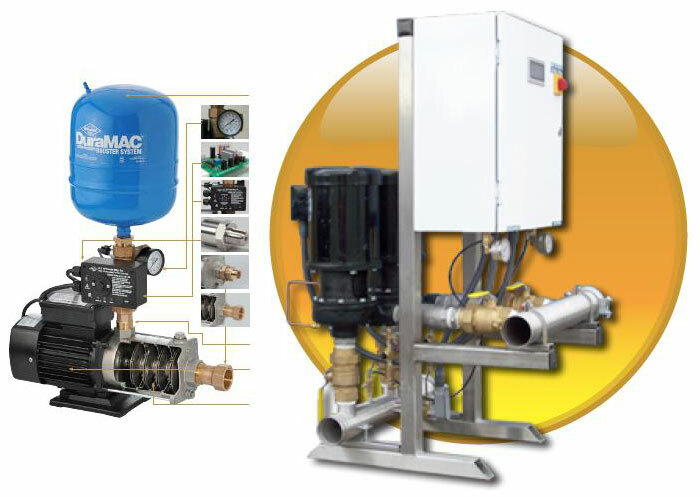 We proudly sell pump systems from Myers, Sta-Rite, Goulds, Berkeley, Grundfos, Quantumflo, Ebara just to name a few. Call us with you needs and we’ll walk you step by step to the most cost effective and quality option to boost your flow and pressure.